Competition within the online mattress market is heating up with a large number of companies creating alternatives. Although added choice is great for the consumer, it also makes the buying decision harder because there's so much on the market. As a result, we’ve dedicated our time to make this process easier for you by creating this easy to follow Bruno mattress review so you can see the positives and negatives of purchasing it. 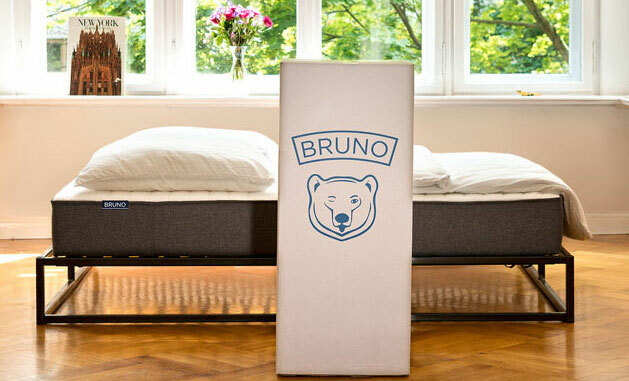 Bruno Mattress is the brainchild of two Berlin-based friends who were struggling with poor sleep which were caused by low-quality mattresses. Because of the difficulty in cutting through the usual jargon as a result of a large number of different mattresses available, they decided to create a one size fits all mattress. It’s hard to believe that there is a mattress that can fit all types of sleepers, but we’ve analysed the mattress and will review how this is possible. This mattress was perfected through many iterations which combines premium materials with an ergonomic design to provide balance, comfort and support. This quality has not been unnoticed by consumers with over 10,000 mattresses being sold to date all over Europe. As with the majority of online-only mattress retailers, by not having brick and mortar stores this decreases a significant amount of overheads. The savings pass onto the end consumer leading to a lower priced product in comparison to traditional mattresses. The mattress is 10 inches thick has 2 distinct layers which work together to support your body throughout the night. The top layer is constructed from springy natural latex which promotes air flow while you sleep, so you don’t overheat. It works to regulate your temperature in all seasons throughout the year. The latex is naturally hypoallergenic while being a great sleeping surface if you’re prone to allergic reactions. The latex itself is sourced from sustainable locations utilising fair trade. Bruno has designed their own proprietary high-density foam base which relieves your body of tension while providing exceptional support. 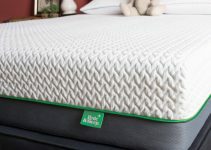 The foam dissects into seven unique zones with each zone supporting different pressure points within the body while evenly distributing weight evenly along the mattress and aligning the spine. Unlike traditional memory foam, the material used will not leave your body feeling overheated which can often lead to poorer quality sleep. Unlike other brands that have confusing levels of hardness for their different products, the Bruno mattress has no degree of hardness due to its unique technology which distributes weight effectively. It means that whether you sleep on your stomach, side or back, then the mattress will support you in any position reducing any aches and pains while keeping your spine aligned. The mattress has a quilted and removable cover made from a polyester fleece blend. This is not only soft to lie on but helps to increase the benefits of the mattress. The cover can be easily removed and washed frequently. The Bruno mattress can be ordered directly through their website, and they have a distribution warehouse based in Suffolk, so it will be with you within 1-3 business days. The mattress is compressed and delivered in a box to your door, making it easy for you to transport to the desired room in your home. The mattress is sealed in an airtight plastic bag to retain its compressed shape, and all you need to do is cut this open and then the mattress bursts into life and will be ready to use in just a few hours. The size of the box will vary depending on the size of the mattress that you purchase. The larger the mattress, the larger and heavier the box will be, with the available sizes ranging from single right up to super king. It's important to remember that although the mattresses come compressed into boxes, they’re still often quite heavy. Because of this, the mattress is usually delivered by two people who are often happy to carry it into your house to the room where you’ll be using it. Now it’s very interesting when a manufacturer claims to have a product that it’s suitable for all types of sleepers, so it was intriguing to see if it lived up to its claims. The top layer is made from latex and not the traditional memory foam that you often see. Latex has less of a hugging effect while having the firmness to keep your body supported. Often people complain of the sinking feeling of memory foam making them feel trapped, but this isn’t present with this mattress. You really can feel the zonal support working on the different areas of your body making your spine remain aligned while creating extra pressure relief. The Bruno design promotes temperature regulation helping you to maintain a comfortable temperature through the night. The added cover also helps to improve this cooling and because the mattress doesn’t create a sinking feeling this further increases the level of airflow. The latex layer responds well to bounce when pressure is applied, but this increases the level of motion transfer that you may experience, but if you’re someone who is an average sleeper then this won’t be an issue for you. This Bruno mattress also provides good edge support throughout. When you lay on your back, you will feel the latex top layer kicking into action and supporting the full length of your body. As previously mentioned this won’t have the memory foam hugging feel because the latex gives a different kind of support feeling while providing a low level of sinkage. 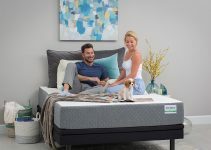 Side sleepers will feel the mattress layer adjust quickly into, but you will also feel the support due to the overall firmness of the mattress. You can feel the positives of the mattress shining through. When sleeping on your front, the mattress relieves the pressure points by positioning your hips in a comfortable position while easing the tension from your back. Although the mattress has a level of firmness, the surface is still comfortable and soft, leaving you with no issues. The Bruno mattress is a truly one size fits all solution, and regardless of the position that you sleep, your body will be fully supported while keeping your spine aligned throughout leaving you refreshed and ache free when you wake. Traditional memory foam often leaves you overheating throughout the night leading to an uncomfortable night’s sleep. The price on site is the price that you pay, and there are no hidden fees once you go to pay. The price of the mattress also includes free delivery so the mattress will be with you in just 1-3 business days. Bruno believes in the quality of their product and offers a 101-night trial for you to test the product to see if its right for you. If before the trial is over, you decide that it’s not for you then it can be collected, and you will receive a full refund. In addition to the 101-night trial, if you decide to keep the mattress, you will then be enrolled in a ten-year warranty program. If the product develops any defects or faults within the ten years, then you will be entitled to a new mattress, of course, all paid for by Bruno. The top layer is made from natural latex so if you suffer from allergic reactions then this helps reduce the effects that they have, giving you a better nights sleep. 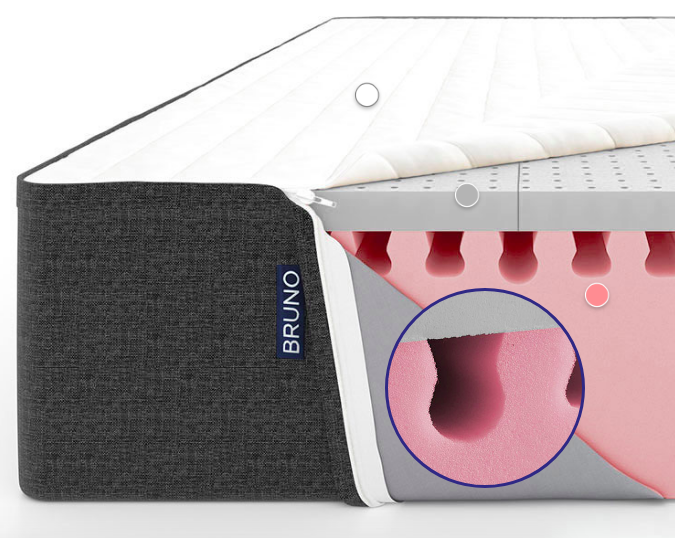 Unlike traditional memory foam mattresses, the Bruno mattress only has a slight hint of memory foam odour, meaning that in most cases you can begin sleeping on it the same day without having to leave it for several days with the windows wide open. The mattress can be used in conjunction with any bed frame but can also be placed directly on the floor. If you do decide to put it on an existing or new bed frame, it’s essential that both sizes match, so there isn’t any overhang. The cover can be easily removed and cleaned allowing you to maintain a consistent fresh sleeping environment especially if you regularly have a child sleeping on the mattress. Because the mattress is quite firm, it means there is limited motion transfer so if you share a bed with another person you will not be woken up when they move throughout the night giving you both a better sleep. One common drawback which isn’t exclusive to Bruno Sleep is that because they are solely based online, you can’t go into a store to test the bed. However, the impact of this is reduced by the 101 night trial period. Also lying on a bed for 5 minutes in a showroom isn’t enough time to know if a mattress is for you. The Bruno mattress is a great hybrid choice for sleepers that sleep in a range of different positions as it will provide consistently high-quality support to your body’s pressure points. Due to the little off-gassing, the mattress can be slept on within just 3-4 hours of opening. The mattress has a slightly firmer feel but also retains a good level of bounce to it. If you prefer softer mattresses, this may not be ideal because of its slightly firmer feel. But if you also suffer from back issues, then this could be a big step towards reducing the pain. The 101-night trial and ten-year warranty decrease the risk that you face by making this sizeable purchase, but you won’t be disappointed with the increase in sleep quality that you’ll experience with this mattress.